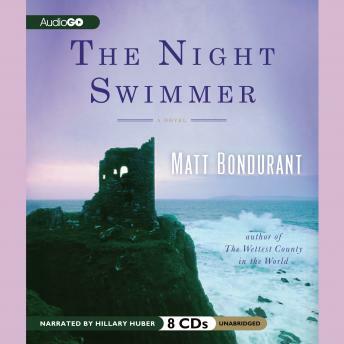 The Night Swimmer, Matt Bondurant's utterly riveting modern gothic novel of marriage and belonging, confirms his gift for storytelling that transports and enthralls. In a small town on the southern coast of Ireland, an isolated place only frequented by fishermen and the occasional group of bird-watchers, Fred and Elly Bulkington, newly arrived from Vermont having won a pub in a contest, encounter a wild, strange land shaped by the pounding storms of the North Atlantic, as well as the native resistance to strangers. As Fred revels in the life of a new pub owner, Elly takes the ferry out to a nearby island where anyone not born there is called a "blow-in." To the disbelief of the locals, Elly devotes herself to open-water swimming, pushing herself to the limit and crossing unseen boundaries that drive her into the heart of the island's troubles-the mysterious tragedy that shrouds its inhabitants and the dangerous feud between an enigmatic farmer and a powerful clan that has no use for outsiders. The poignant unraveling of a marriage, the fierce beauty of the natural world, the mysterious power of Irish lore, and the gripping story of strangers in a strange land rife with intrigue and violence makes The Night Swimmer a novel of myriad enchantments by a writer of extraordinary talent.